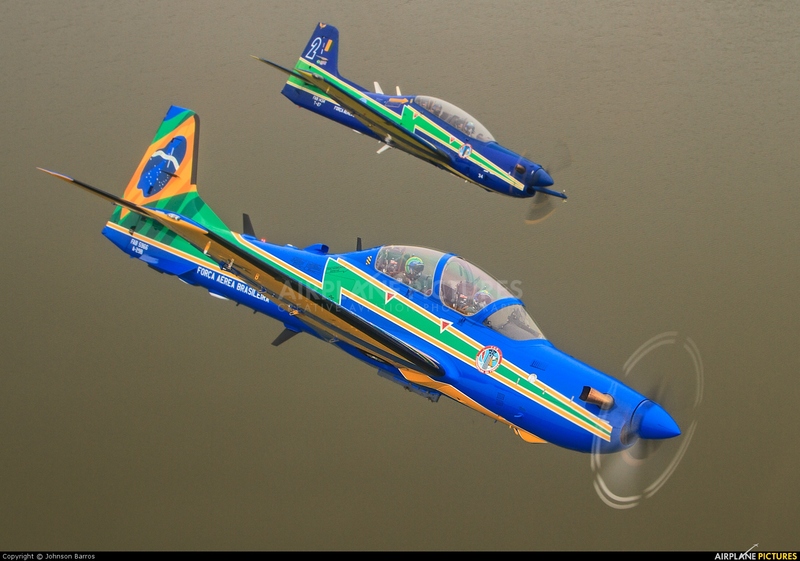 In the foreground, the new Embraer A-29B Super Tucano and in the background the EMBRAER Tucano T-27. The A-29B is a new aircraft and has new "Smoke Squadron" painting. The A-29B aircraft will replace all T-27 Tucano during the year 2013.